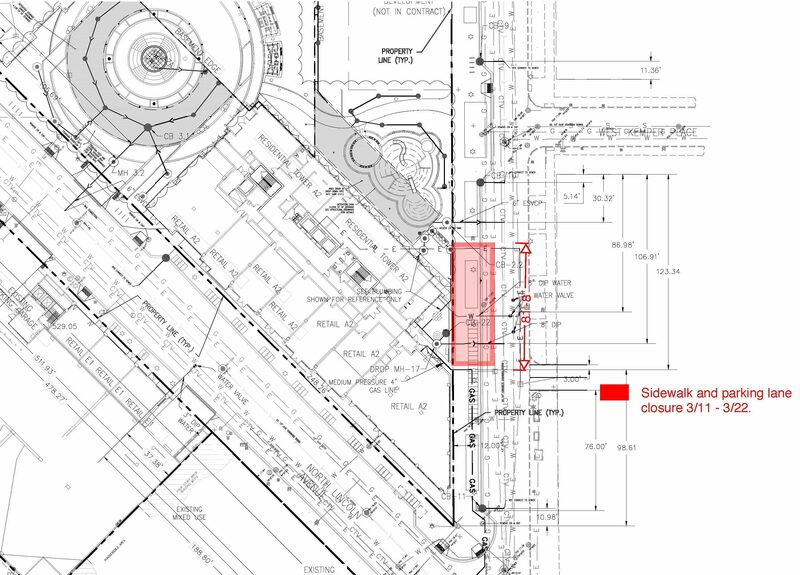 Reminder: The sidewalk on the west side of Lincoln Avenue will be temporarily closed today so that work can be completed within the new Kohler Waters Spa. 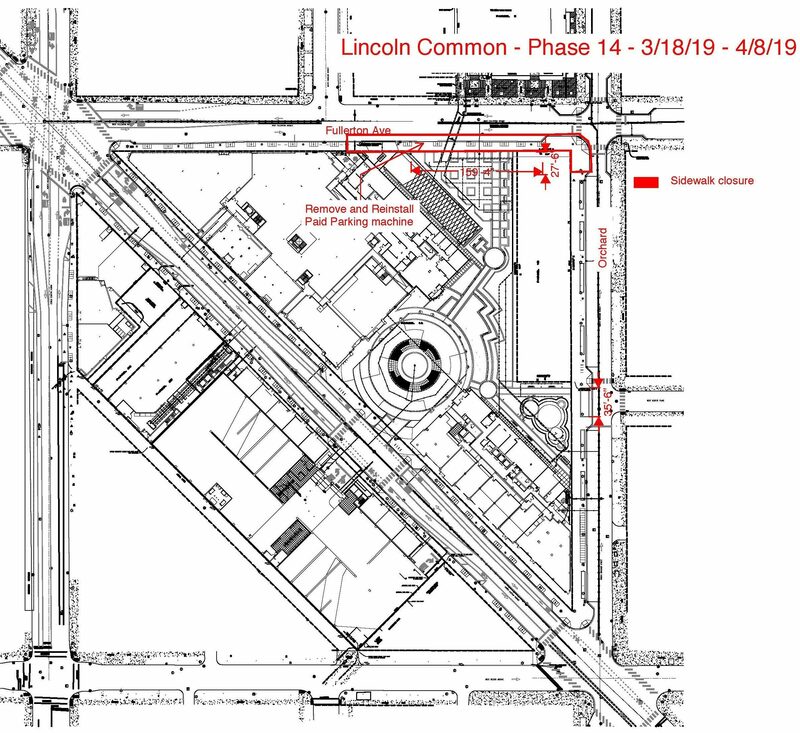 Pedestrians will be redirected across Lincoln Avenue at the stoplights located at Fullerton and the parking garage entrance. Vehicular traffic on Lincoln Avenue will not be impacted. Thank you for your continued patience and understanding as Lincoln Common comes to life! For additional project details, please visit LincolnCommon.com.